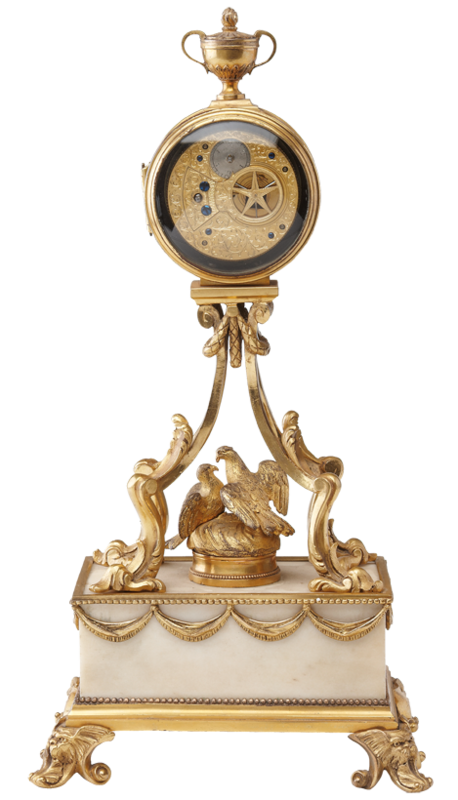 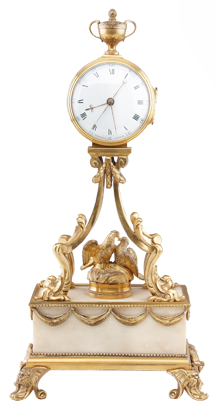 A rare late 18th century George III mantle clock standing on a gilt brass mounted marble base, the circular enamel dial mounted by a gilt brass urn. 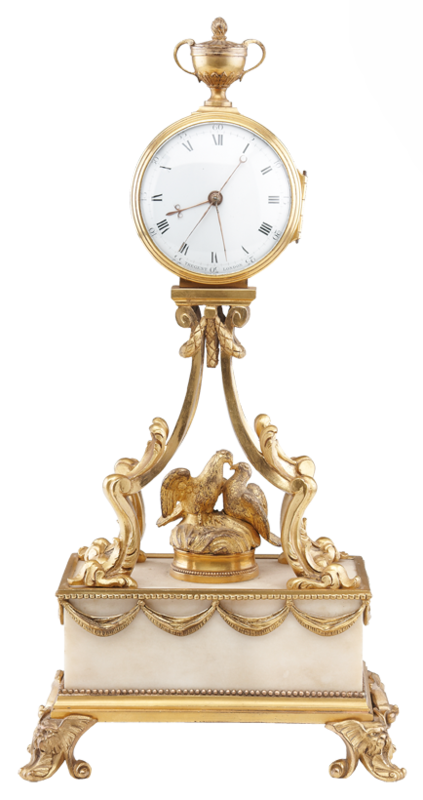 The enamel dial with gilt hands and sweep seconds signed, Tregent, London, and standing on four extended gilt leggs with two birds between. 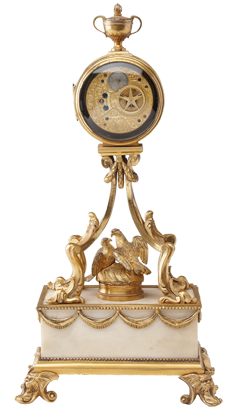 The 36 hour movement with balance wheel escapement and a finely engraved back plate.